The Federal Trade Commission has charged personal care company Lornamead, Inc. with deceiving consumers with exaggerated claims that its “Lice Shield” shampoo, stick, and spray products will prevent or reduce the risk of getting head lice. 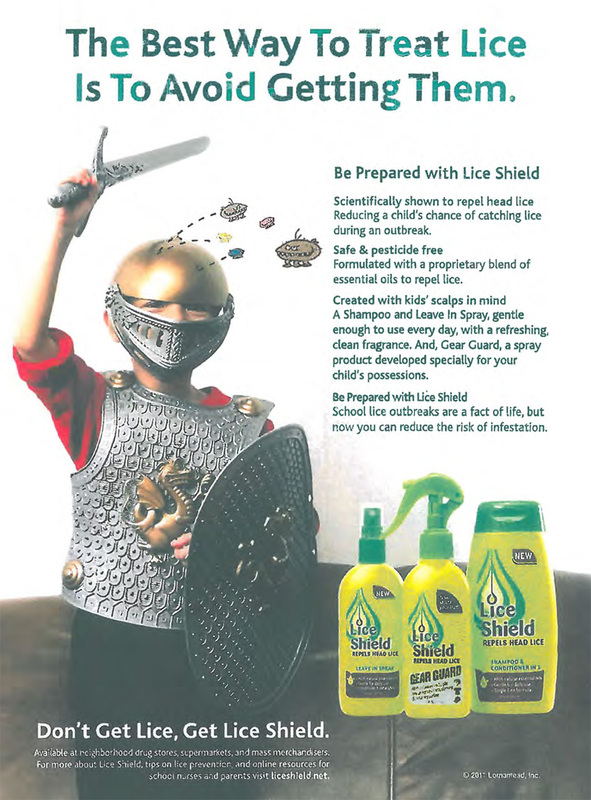 Under an agreed-upon settlement, Lornamead will pay $500,000, and is prohibited from making further deceptive lice-prevention claims. The FTC alleged that Lornamead’s misleading claims violated the Federal Trade Commission Act. As part of the FTC’s ongoing crackdown on misleading health claims in advertising, the proposed order requires Lornamead to have at least one well-controlled human clinical study supporting its claims that Lice Shield products and other drugs, cosmetics or pesticides it markets will shield consumers from pediculosis; reduce the risk of an infestation by a specific percentage or amount; repel all lice; or repel a specific percentage or amount of lice. For any other claims it makes about repelling lice or reducing the risk of infestation, and for claims it makes about the health benefits of any drug, cosmetic, or pesticide, the company is required to have competent and reliable scientific evidence. The proposed order also prohibits Lornamead from misrepresenting any tests, studies, or research when marketing such products. For consumer information about avoiding head lice, see the “Heading off Head Lice” portion of the FDA publication Treating Head Lice, which advises avoiding head-to-head contact, and not sharing items such as hats, scarves, helmets, combs, and brushes. The Commission vote to issue the administrative complaint and to accept the agreement containing the proposed consent order for public comment was 4-0-1 with Commissioner Terrell McSweeny not participating. The FTC will publish a description of the complaint and consent agreement in the Federal Register shortly. The agreement will be subject to public comment for 30 days, beginning today and continuing through June 27, 2014, after which the Commission will decide whether to make the proposed consent order final. Interested parties can submit written comments electronically or in paper form by following the instructions in the “Invitation To Comment” part of the “Supplementary Information” section. To submit comments electronically, follow instructions on the web-based form. If you prefer to file your comment on paper, mail your comment to the following address: Federal Trade Commission, Office of the Secretary, 600 Pennsylvania Avenue, NW, Suite CC-5610, (Annex D), Washington, DC 20580, or deliver your comment to the following address: Federal Trade Commission, Office of the Secretary, Constitution Center, 400 7th Street, SW, 5th Floor, Suite 5610, (Annex D), Washington, D.C. 20024.